Request a National Premises Identification Number (PremID or PIN) from the office of your State Animal Health Official. In an outbreak, the PIN will allow producers to be notified if they are in a regulatory Control Area, speeding up a response. The PIN is also valuable when requesting a movement permit. It can link test results and other important information to a premises which may allow a permit to be issued sooner. Already have a PIN? Great! Now it is time to validate it. Contact your State Animal Health Official to ensure the PIN data accurately represents a valid 911 address and a set of matching coordinates (longitude and latitude) reflecting the actual location of the animals on the premises. 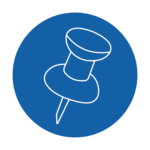 Start using your validated PIN on diagnostic sample submissions.